Marketing is more than just creating a “catchy” message for an advertising campaign. The nuances of effective marketing campaigns are evident when strategies clearly evaluate the market, the product or service being offered, and the target demographic. Previous Marketing Matters segments reviewed Product Life Cycles (PLC), but there is more! 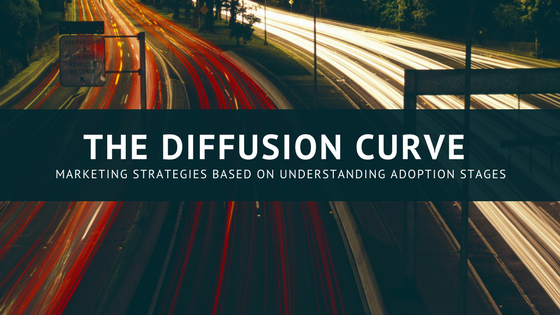 This week continues with an examination of the very beginning of the product’s introduction and adoption into the market and the importance of understanding the rate of adoption—the Diffusion Curve. There are specific marketing strategies needed for each stage. If you want your product or service adopted, you must successfully pass through each stage. This is true for a new business as well. It is important to know where you are positioned on this graph and market according to the personality type and needs of that stage’s adopter and the next. The marketing campaign then needs to be tailored to “fit” with the particular stage’s adopters for overall success to be achieved. Innovators-First 2.5% to adopt. Personality type-eager to try new things, usually more worldly, more active outside their community, rely less on group norms, self-confident, prefer information from scientific or accredited sources, venturesome. Marketing promotions need to appeal and align to this personality type. Early Adopters-Next 13.5% to adopt. Personality type-rely much more on group norms and values, more oriented to local community, more likely to be opinion leaders. They are a new product’s or service’s best friend! Early adopters are very strong at word-of-mouth. User content social media adds to marketing efforts that promote advertisements that focus on influencing these early adopters to try to product and be rewarded for doing so. Promotions geared to meeting their appeals will help tremendously in the product being adopted further. REMEMBER 50% of purchase decisions are influenced by opinion leaders, peers, and family. Early Majority-Next 34% to adopt. Personality type-likes to weigh the pros and cons before adopting, so comparative information provided is important here. They like to collect, compare, and evaluate. Controlling the information and satisfying the need for knowledge is important. They are opinion leaders’ friends and often engage in word-of-mouth discussions, too. Radio, print, and social media promotions should be focused on providing information as to why the product or service is the what they need compared to other options. Late Majority– Nearing the last, next 34% to adopt. Personality type-often adopt because everyone else has, so marketing that shows this is helpful. They do rely on group norms and respond to pressures to conform. They are typically skeptics, so promotions to relieve this is helpful and show that everyone else is “doing it” or “has it” can be helpful to “push” these consumers to conform and adopt. Laggards-Final 16% to adopt. Personality type-do not rely on group norms, suspicious, and traditional. Many marketers do not focus on this group. Note: These are all generalizations and do not necessarily apply every time to every situation.